Your teeth healthy for life! 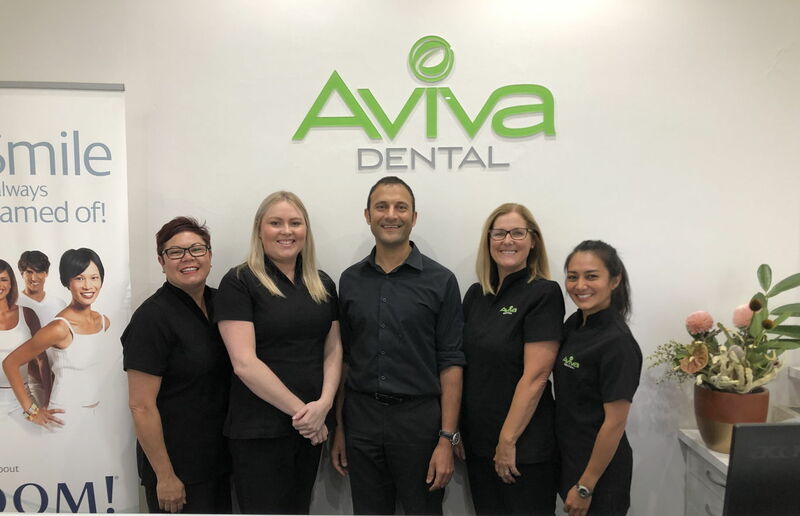 Our practice is based in Newtown (Geelong) and we offer a full range of family and implant dental care from our state of the art surgery. We are passionate about keeping your teeth healthy for life. 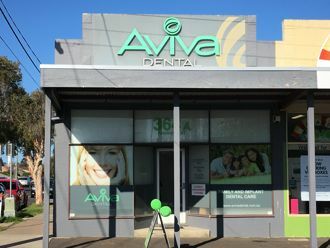 Our practice is based in Newtown (Geelong) and we offer a full range of family and implant dental care from our state of the art surgery. Please take your time to explore this website to find out more about us and the care we provide. Once you are ready, request an appointment. The purpose of our website is to supply information and support to new and existing patients. We are constantly trying to develop our practice and your feedback is always welcome! Routine check ups at Aviva Dental are a healthier, more cost effective and easier way to look after your teeth. At Aviva Dental we offer a full range of methods to replace missing teeth. The options for these may involve implants, bridges or dentures. We like the fresh smile that our whitening system produces because it does not damage teeth unlike other treatment alternatives. We think good dental habits start at a young age. It is important that dental visits are started early with a focus on prevention and if things do go off the rails, we feel it should be managed early and comfortably. Root fillings are a method to preserve the tooth and it is simpler and healthier to do this where possible rather than replacing a tooth. At Aviva Dental, this is a routine treatment for which we use the latest rotary instruments, apex locaters and digital low dose x-rays.